In the forties, the studios of Hollywood's Poverty Row used Bela Lugosi to lure audience into theatres. 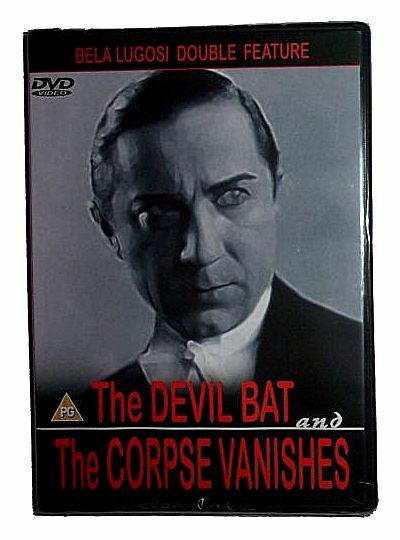 The dark promise of Lugosi's name never ceased to pack them in. Lugosi made nine pictures for Sam Katzman and Monogram. The Corpse Vanishes (1942) might be the best. Bela's a scientist (aided by a sinister dwarf) who used the bodily fluids of virgin brides in his attempts to keep his ancient wife alive. This is just one of many, many films Wallace Fox directed for Monogram. He also did many of the studio's East Side Kids and Bowery Boys pictures.